When it comes to being creative my two sons love nothing more, they honestly can sit for hours drawing and creating an array of cars and scary monsters in very fine detail. Over the years I have lost count of the amount of creative equipment I have purchased....as they use it so often, so we are always on the look out for more. 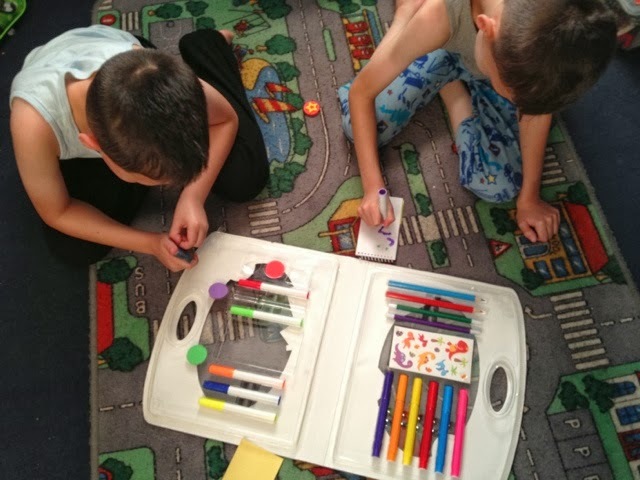 As the boys love nothing more the being creative they were ever so delighted to receive this amazing Creative Case, Which was full of colouring pens, Ink stampers, Pencils and Stickers all stored in this handy carry case..... which is great for on the go. 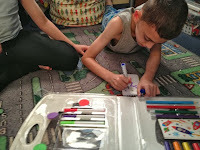 My boy's had an amazing time drawing and exploring the case contents, they sat for ages drawing and using the ink stampers to make cool patterned pictures. 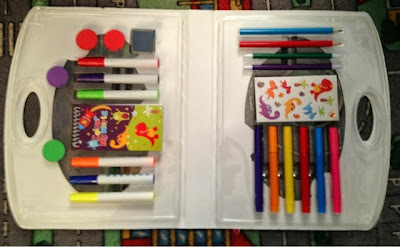 I love the fact it comes in its own case as it make its great for storage and keeping all of their creative equipment in its correct place. 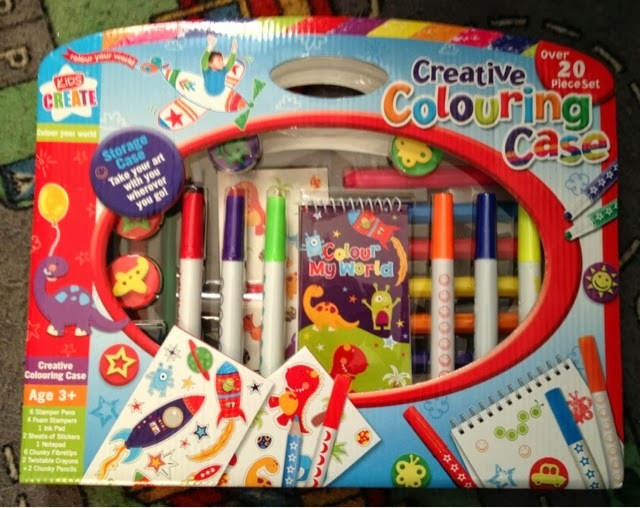 Hours of creative fun. We received this Creative Case to Review...All thought and opinions are honest and that of our own.